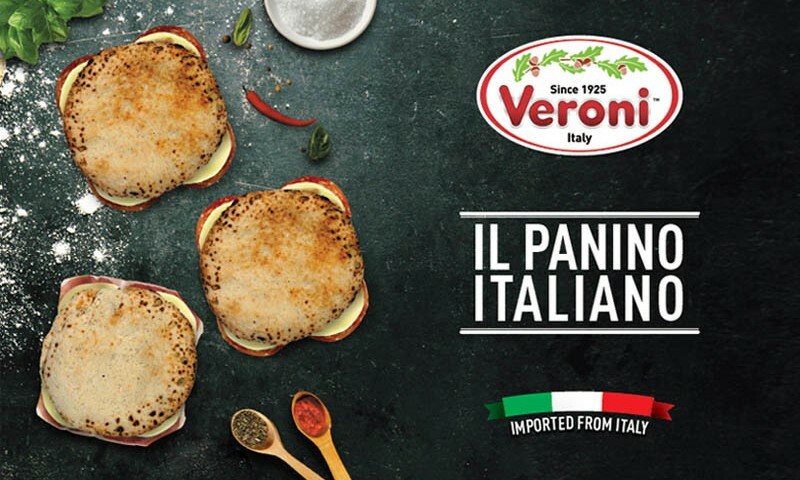 Our aim when we brought Veroni products to the USA was to retain the long-standing family tradition and taste of Veroni products, but adapting the products to busier and faster-paced lifestyles. 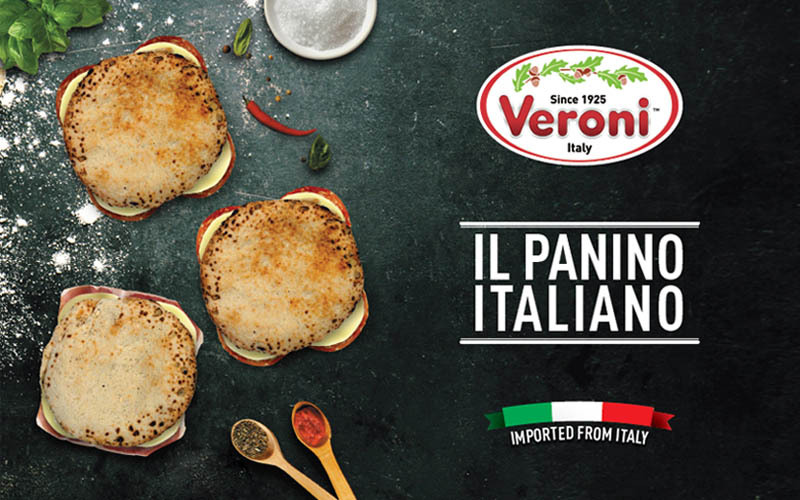 In response to this, we are so excited to present to you our brand-new range of Italian Panini. Beautiful fresh Italian pizza bread from Naples is filled with your favorite Veroni cured meat and paired with complimenting cheeses. ‘Simplify, simplify, simplify’ was the approach we took, offering a genuine Italian experience in true Italian style: that is very few ingredients to allow you to appreciate each and every individual flavor. The easy packaging allows you to grab a panino on the run or bring it to work with you and using three simple methods to heat up your panino, you can enjoy a delicious warm delight with melted cheese. Choose between spicy salami and provolone cheese, mild salami and provolone and prosciutto with provolone cheese in beautiful rustic bread rolls. With our new panini and all of our products, we still retain our guarantee of 100% made in Italy salumi which are then sliced and packaged in the USA to preserve their flavor and aromas. Within our snack range we also have other convenient options that allow you to enjoy a hint of Italian flavor even with little time, these include our salami and grissini packs, salami and cheese packs and salami chips.